IBM Lotus Notes is the client of a collaborative client-server plataform, being IBM Lotus Domino the application server. The email-client capability is one of its most important and used features. 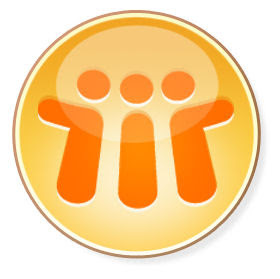 IBM Lotus Notes fails to correctly parse a PNG image file embedded in an email. Arbitrary code execution is proved possible after a malicious email is opened or just previewed. Quick links: White paper, exploit generator, PoC. A similar situation occurs in IBM Notes. We decide to overwrite the function pointer located at 0x629B9184. That function will be called eventually and then the ROP chain begins. It’s important to note that additional to the actual payload, some code is executed to assure the maximum stealthiness and to restore the state to thread and module involved. A Proof of Concept exploit is provided and tested for Windows 7 and Windows XP. This was tested opening and/or previewing the email. If everything went ok the PoC will run a calculator. It was tested on fresh installations of Windows 7 Ultimate SP1 both 32 and 64 bit and Windows XP Pro SP3 32 bit versions. Vendor has released an patch.The Windows fix is included in Interim Fix 1 for Notes 8.5.3 Fix Pack 4 and Interim Fix 1 for Notes 9.0. For more information consult the official bulletin.